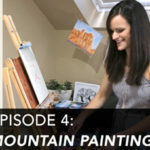 Creative Adventures is a video series for aspiring artists, freelance artists who are looking to further develop their skills, and for those that love travel and adventure. Welcome to Creative Adventures with Made by Lisa Marie! 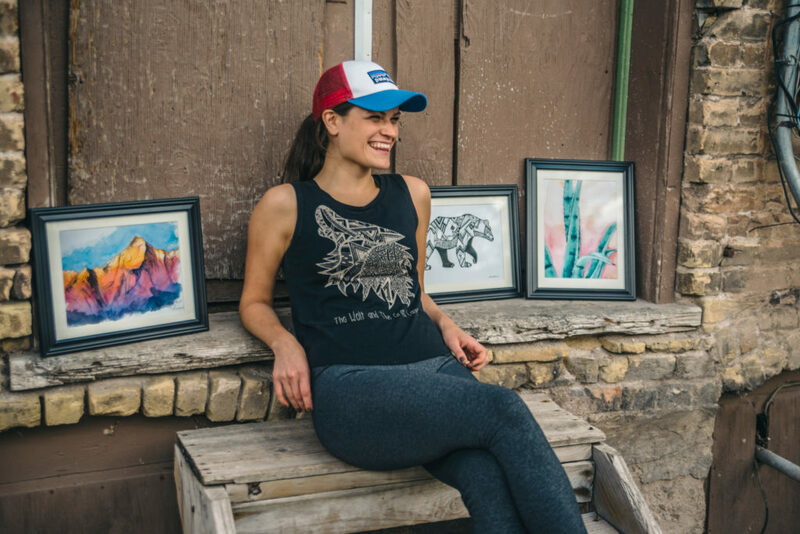 This year, Jerry’s Artarama is launching a new special video collaboration with Lisa Kowieski (of Made by Lisa Marie) a nature based artist, designer and teacher. 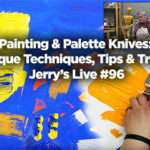 The art supplies in this video series are exclusively sponsored by Jerry’s Artarama. 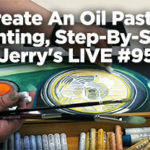 We will be learning how to master many of Jerry’s amazing products, including: Lukas 1862 Watercolors, Pro-Tones Non-Refelective-Panels, Charvin Extra-Fine Acrylics, Staedtler Mechanical Pencils, Fabriano Artistico Watercolor Blocks, Micron Pens, Paris French Easel and more! 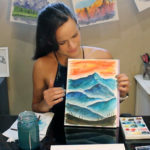 Each month, Creative Adventures will be bouncing back and forth between in-studio teaching lessons (where we will learn various artist techniques and tips) and working in Plein Air in beautiful locations across the country and around the world! In-studio projects/topics I’ll be covering: painting watercolor floral wreaths, drawing and painting mountains, digitalizing your artwork in Adobe Illustrator, selling work and creating an online shop, developing your own logo/branding, and more! Plein Air Painting locations include: Colorado Rocky Mountains, Chicago City Skyline, Seattle Skyline, Garden of the Gods, the Paris Eiffel Tower, and more! How do I follow along??? Make sure to SUBSCRIBE to Made by Lisa Marie’s Youtube, Instagram, & Facebook for the videos and important updates! 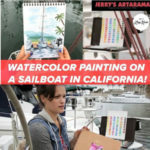 As well as Jerry’s Artarama’s Youtube, Facebook & Instagram accounts for more details and the videos in case you missed them! When does each episode launch??? Over the course of the next year, a new episode of “Creative Adventures” will premiere on the first Thursday of each month. The first episode launches THIS THURSDAY!! 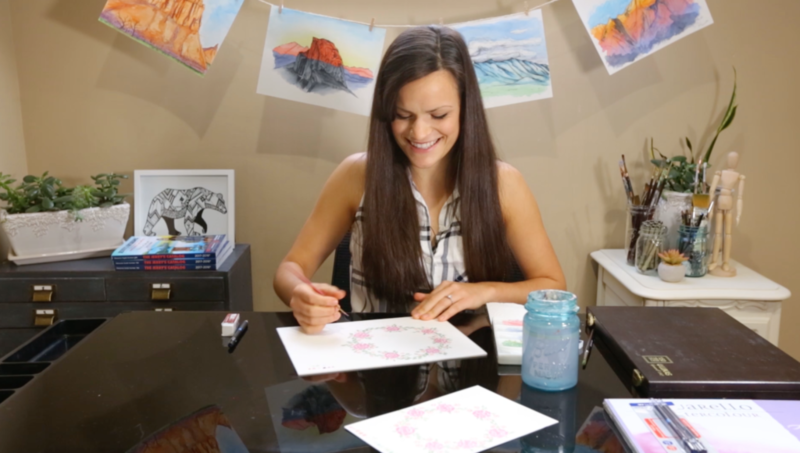 Learn how to paint in watercolors by following along with me on a step by step tutorial of painting a floral wreath. Make sure to follow along and stay tuned for more to come!! This series is taught by one of Jerry’s Artist’s Lisa Kowieski, the founder and artist behind Made by Lisa Marie (@madebylisamarie). Lisa has a background in Fine Arts and a Bachelors Degree in Graphic Design. She’s won several awards in both art and design and uses the two interchangeably in her freelance career. 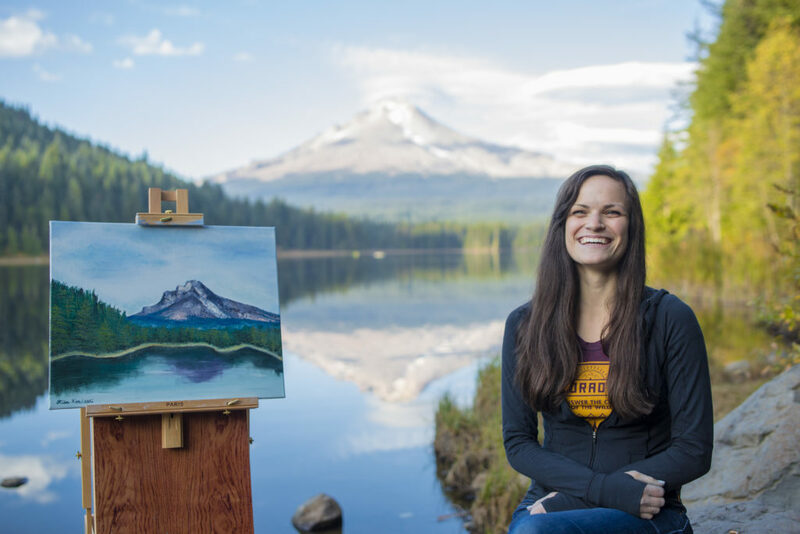 As an artist with a passion for adventure and the outdoors, Lisa works mainly in the Outdoor Industry and teaches workshops outside on painting and drawing in Plein Air around the country. This isn’t Lisa and Jerry’s first rodeo together. Nope, not even close. Some fun projects they’ve done in the past are: Creating this EPIC adventure video for DJI Drones, sponsoring Lisa’s watercolor and drawing classes for at one of Chicago’s largest Plant conservatories, and supplying Lisa with a sketchbook journal and tools for her two week roadtrip across British Columbia, Montana, and Washington.